Once a popular place for travellers to stop for lunch, the bypass has cost the roadside town their customers. The opening of the new route has hit the hotel business in Tsimasham the worst. The town has over 20 hotels. The dearth of customers has forced a few hotels to call it quits. “Earlier, people traveling in buses and taxis used to stop here to eat. Our daily earnings were as high as Nu 12,000. But now it’s hard even to earn Nu 2000. I took loan to construct this building. I am worried about its repayment,” Passang Dorji, a hotelier, said. “Tsimasham has become like ghost town now. We don’t see many people here. There are no customers. There is no one to complain about our plight. There is also no place to relocate,” Damchoe, a shopkeeper, said. A few hoteliers have already set up their business along the new route, while others are planning to do the same. 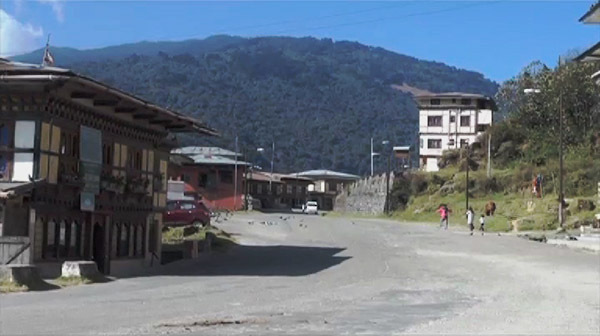 People said having a school, hospital and dzongkhag administration nearby does not help their businesses much. Most staff reside in Tsimalakha where there is already a small town catering to their needs. The dzongkhag administration has requested the Road Safety and Transport Authority (RSTA) to send a few buses through the old route. It is also encouraging establishment of private schools in the community and exploring avenues to promote tourism.